selections of property purchases, sales and rentals. We warmly invite you to explore our virtual marketplace, specially created to use the latest advances in digital photographic technology to showcase properties in the most exciting and visual manner. Our commitment to providing the ideal environment for buyers, sellers and real estate professionals alike, will help you successfully negotiate through every aspect of a property transaction. We have collected a cross-section of the best property resources and service providers, all in one easy-to-use location, to further streamline your property purchase or sale. Whether you are a first time home buyer or a seasoned seller, you'll find SingaporePropertyExchange.com the essential resource to reinforce your property transaction. Are you intimidated by the whole process of buying a home? Do you feel a little overwhelmed by the thought of picking the right property? Any successful property transaction begins by understanding market conditions, prices, procedures and legalities. 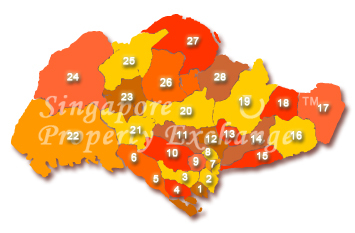 We have compiled an extensive range of core property information, and this is where we invite you to begin your SingaporePropertyExchange.com experience at the Resource Centre. Please Click Here. The power is in your hands. Let SingaporePropertyExchange.com help you take control.